My husband gave me a Nikon FM10 one year for my birthday, and I have a crate full of real photographs from our honeymoon, the kid’s births, their first years. I finally put that camera down when I my current iPhone, but I feel it’s time to bring it back. My son also has a love of photography, so we got him a Lomo’Instant camera, and he is excited to experiment with it. There is definitely a learning curve. He is used to using a digital camera, but there is so much fun stuff which can be done with film. In fact he has been having so much fun playing with his that I got myself a Fuji Instax Mini 9 (mine’s blue!) 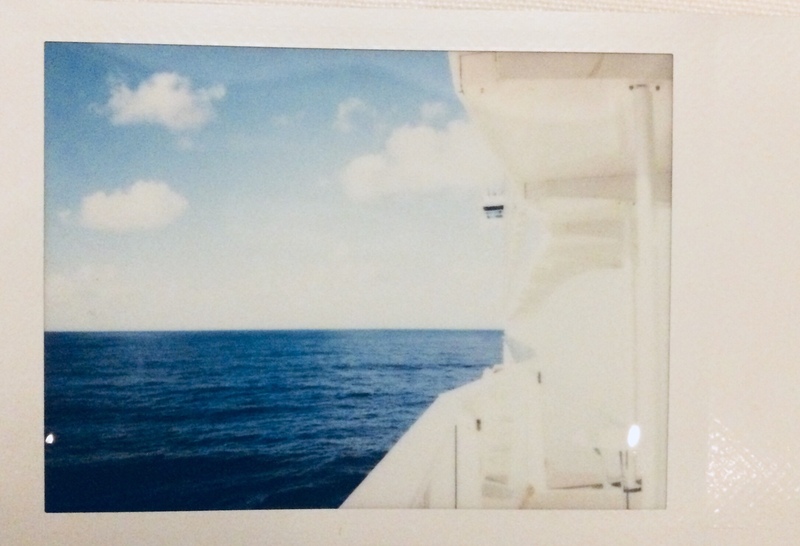 while on our cruise over the holidays. It took that sweet little shot above from the balcony of our stateroom. The Instax film is much smaller than traditional Polaroid film, about the size of a credit card. I’m looking forward to using it for journaling and documenting the kids’ homeschooling year. Now I need to get some 35mm film for my Nikon too.